I don’t have any specific resolutions this year, but every new year I love the feeling of starting with a clean slate. Anything is possible if you’re willing to go after your heart’s desire. Dream big, but don’t forget you have to work hard to accomplish your dreams. Remember that a wish is only a wish until you make it a reality by your hard work and perseverance. Knowing that change is always scary but change is also growth, don’t let your fears hold you back from growing into the person your dreams envision you to be. We are all worth the work it takes to become better, happier, more fulfilled people. With this recipe comes my sincere wish for you all to have a happy, healthy, prosperous, productive, creative, fun filled, peaceful and joyous new year. 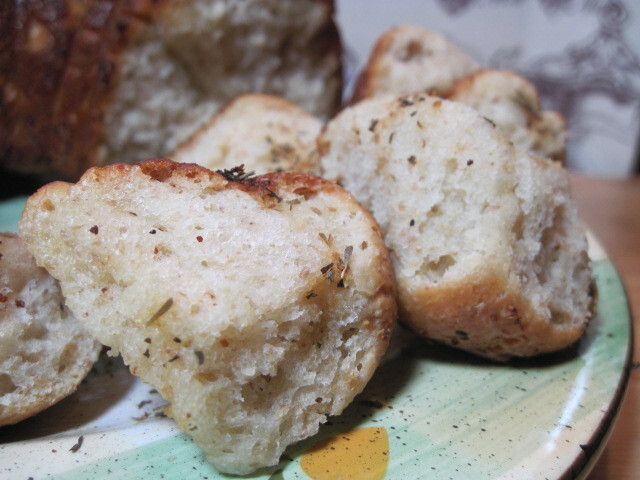 So then, let us break bread together as we move forward into 2012 filled with hope and promise. 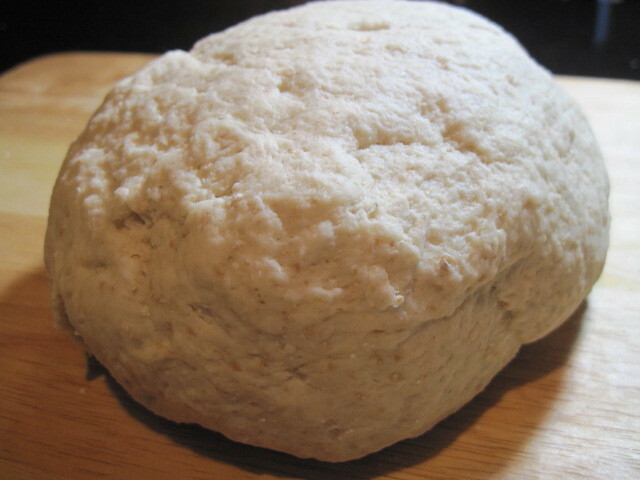 -Combine all the ingredients and mix and knead them together – by hand, mixer, or bread machine – until you’ve made a soft, smooth dough. 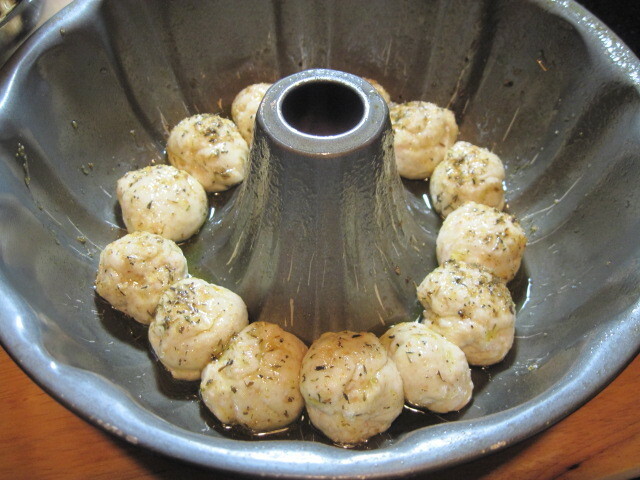 -Place the dough in an oiled bowl and cover with plastic wrap. 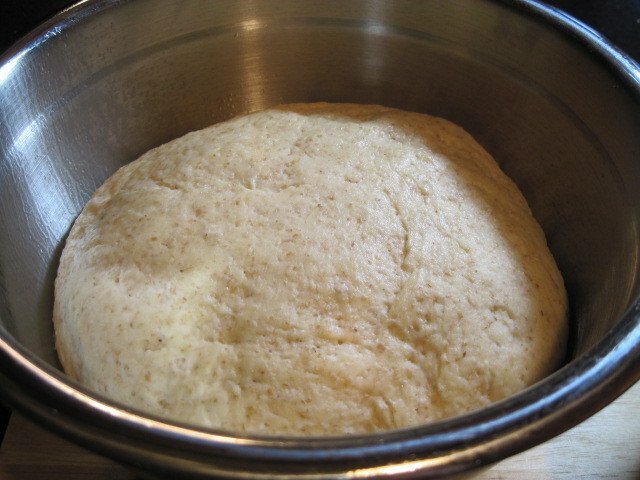 -Allow the dough to rise in a warm place until it’s puffy but not necessarily doubled in bulk. 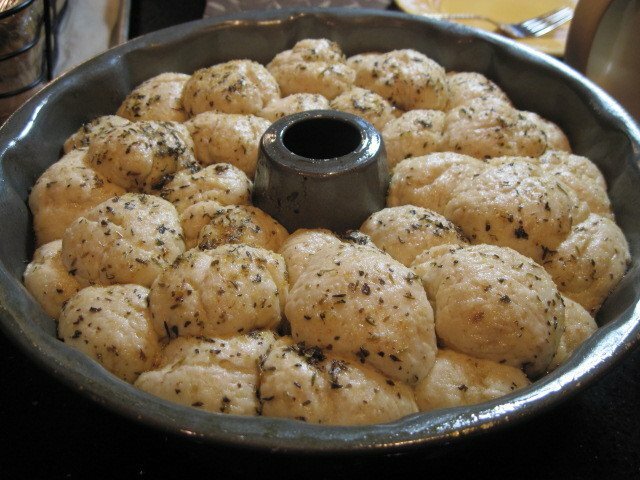 -Punch dough down after the first rise and allow to rest while you prepare the herb coating. 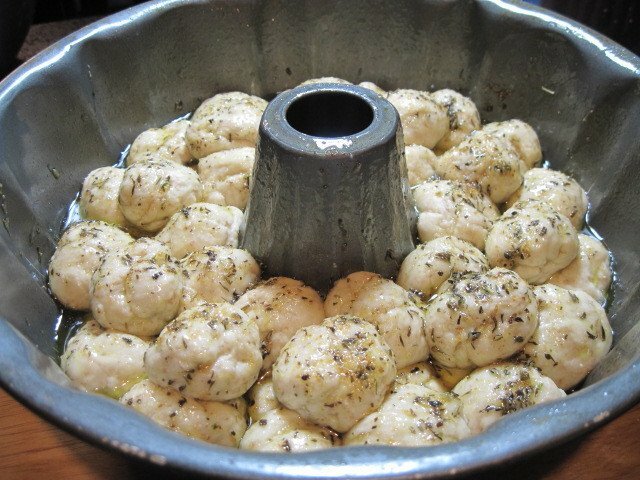 -Combine all the above ingredients in a small sauce pan and warm to melt the butter and blend the flavors. 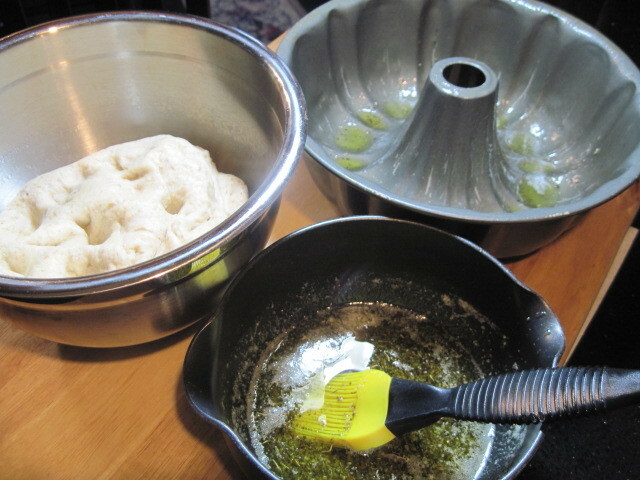 -In a 8 inch bundt-style pan, using a pastry brush, liberally brush the oil mixture in the bottom of the pan. 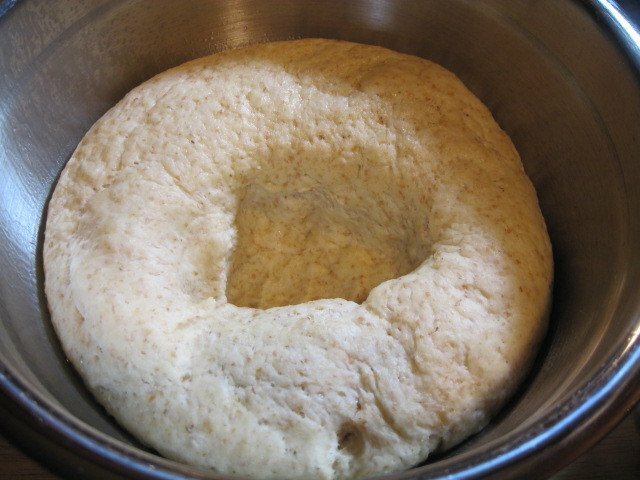 -Divide the risen dough into small balls (approximately the size of golf balls) and layer them evenly into the bottom of the bundt pan. 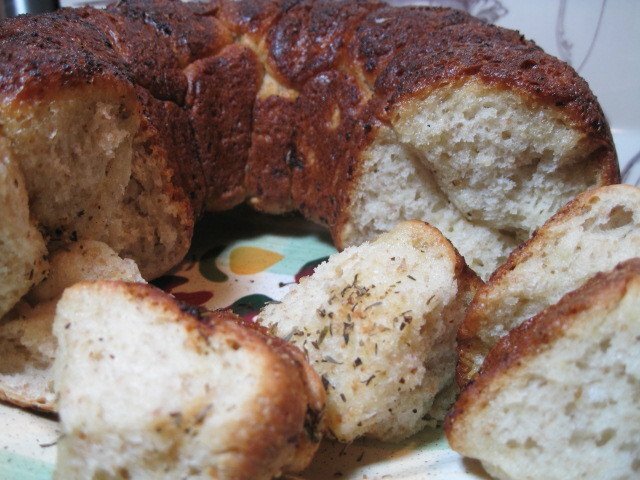 -Brush the layer dough with additional herb mixture and continue layering the dough and oil mixture until the dough is all used up. 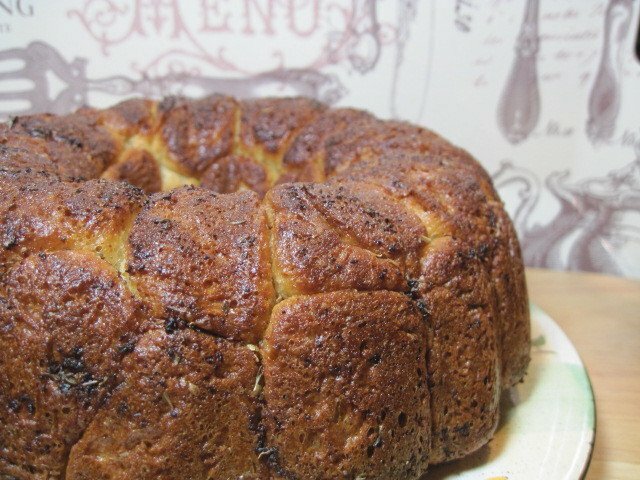 -Bake in a preheated 375 degree oven for 30-35 minutes or until the bread is golden brown. 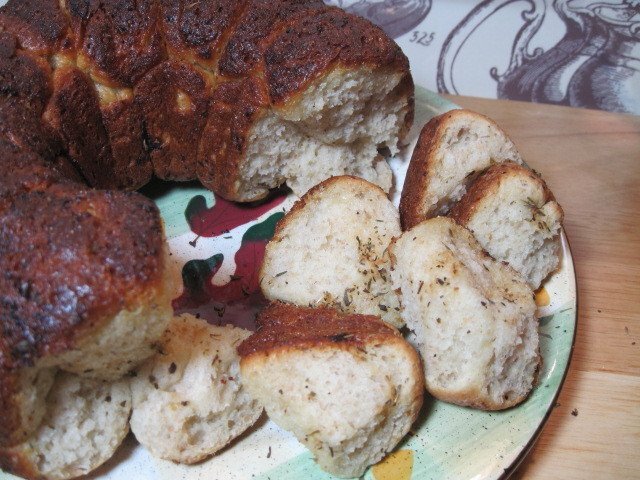 -Allow the bread to cool approximately 10-15 minutes and then turn the bread out onto your serving platter to continue cooling, or for immediate munching! Happy New Year dear friends! Now let’s all RISE to the occasion to make this the best year EVER!!! I need to make a savory monkey bread. It looks scrumptious. Wishing you a new year filled with your favorite things! 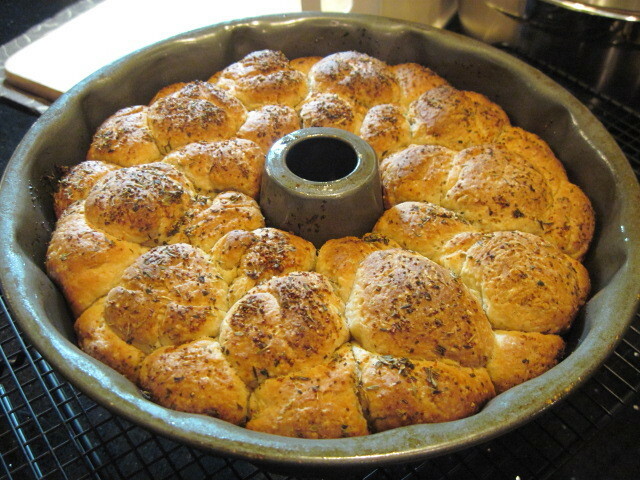 Your herbed monkey bread looks awesome! Loved this post. Thanks for a wonderful year in your kitchen! All the best to you and your family throughout 2012 and I'm looking forward to *breaking bread* with you in the coming year.